CEOs aren't so sure they'll invest their offshore cash in the U.S.
President Trump and his top economic advisers are betting corporate tax cuts proposed by the GOP will drive companies to boost investment in the United States. But some of America's top executives aren't so sure what they'll do with the extra cash. 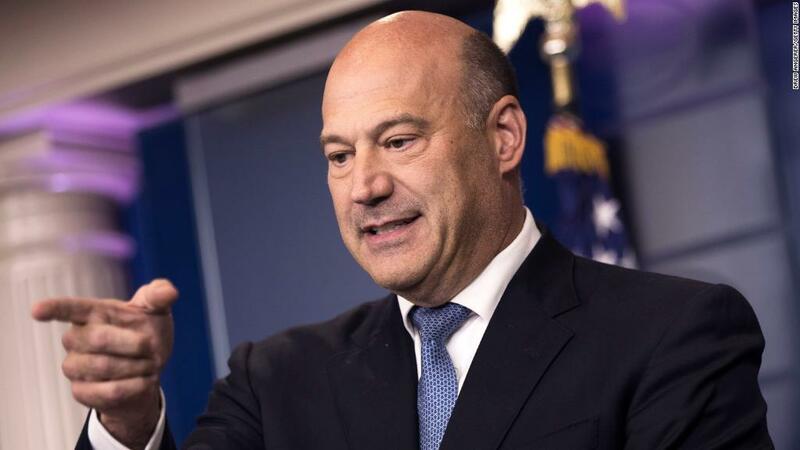 Gary Cohn, Trump's chief economic adviser, has repeatedly made the case that reducing corporate taxes will spur businesses to invest in new factories, buy more equipment, create more jobs and boost wages for American workers. Up until now, he argued, corporations have been parking their profits offshore. "Despite good earnings [by companies], it really hasn't made its way down to the workers," Cohn said while speaking to a group of executives at The Wall Street Journal CEO Council conference Tuesday. "All of those earnings are trapped offshore and the penalty to bring that money back on shore is too high." But when a moderator asked the executives in the room if they would increase their investments in the U.S. if the GOP's tax overhaul plan passes, only a few raised their hands. The ho-hum response surprised Cohn, who was on stage, prompting him to laughingly ask, "Why aren't the other hands up?" In an interview with CNBC last week, Cohn identified CEOs as the "most excited group out there" when it came to the GOP's tax plans. The administration has touted its plan as the biggest cut ever to the corporate tax rate -- from 35% to 20%. Provisions would also allow companies to write off the cost of any new capital purchases over the next five years. On Monday, Treasury Secretary Steven Mnuchin also reassured executives, telling them President Trump would never sign a tax bill with a corporate tax rate above 20%. "It's not going up," he said at the Wall Street Journal event. "I can tell you this is one of the things the president feels very strongly about." The GOP tax plan also seeks to encourage U.S. multinationals to bring their existing overseas profits back to the U.S. by offering a one-time, low tax rate on them. It's called "deemed repatriation" and means corporations would have to pay the tax whether they bring the money back or not. The one-time tax also serves to capture revenue on overseas profits that under current law are subject to U.S. taxes. Under today's tax code, companies would have to pay a 35% rate on those profits when they bring them home. But both the Senate and House tax proposals would tax them at far lower rates. The goal is to get companies to use that cash to create jobs by building new factories and investing in their businesses. American companies had about $1.3 trillion in cash stashed overseas at the end of 2016, according to Moody Analytics. The top 5 U.S. cash hoarders -- Apple (AAPL), Microsoft (MSFT), Alphabet (GOOG), Cisco (CSCO) and Oracle (ORCL) -- held 88% of their money overseas at the end of last year. It's not just Big Tech though. Other cash-rich companies include Johnson & Johnson (JNJ), Amgen (AMGN), Gilead Sciences (GILD), Ford (F), Merck (MKGAF) and Pfizer (PFE). Each of them were sitting on at least $25 billion in cash at the end of last year, according to Moody's. It's unclear whether companies would use their cash for something else like paying down corporate debt. Or reward investors with dividend increases, share buybacks and other measures to boost stock prices, which wouldn't help average Americans who have little, if any money, in the stock market. --CNNMoney's Matt Egan and Jeanne Sahadi contributed to this report.